Next month, one of the contests at Spoonflower is a palette restricted butterfly theme. This is my entry. 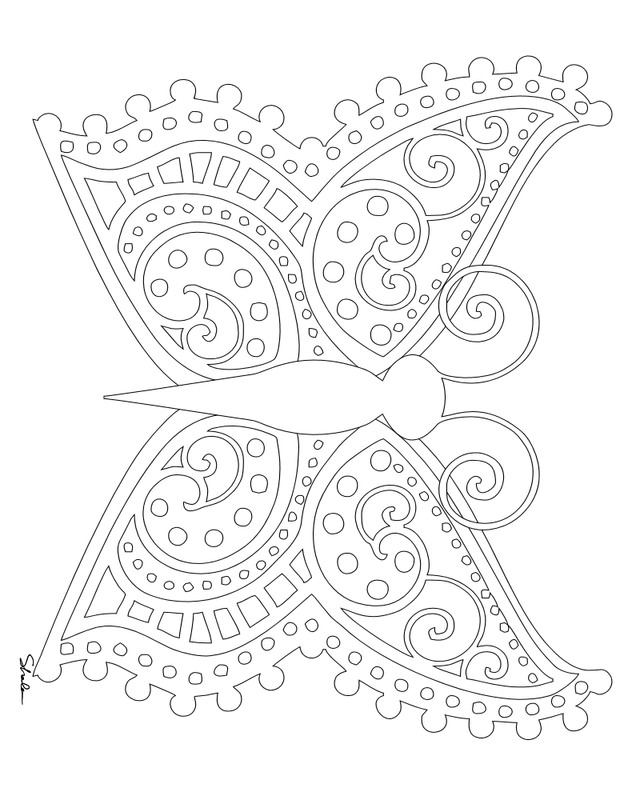 I hope you like the butterfly as well as I do! 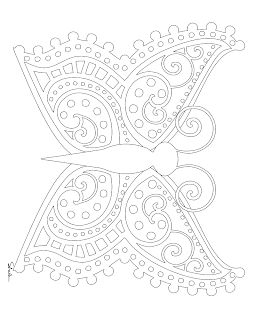 EDIT: 7-7-11 Spoonflower's limited palette butterfly contest is voting now. Please vote! 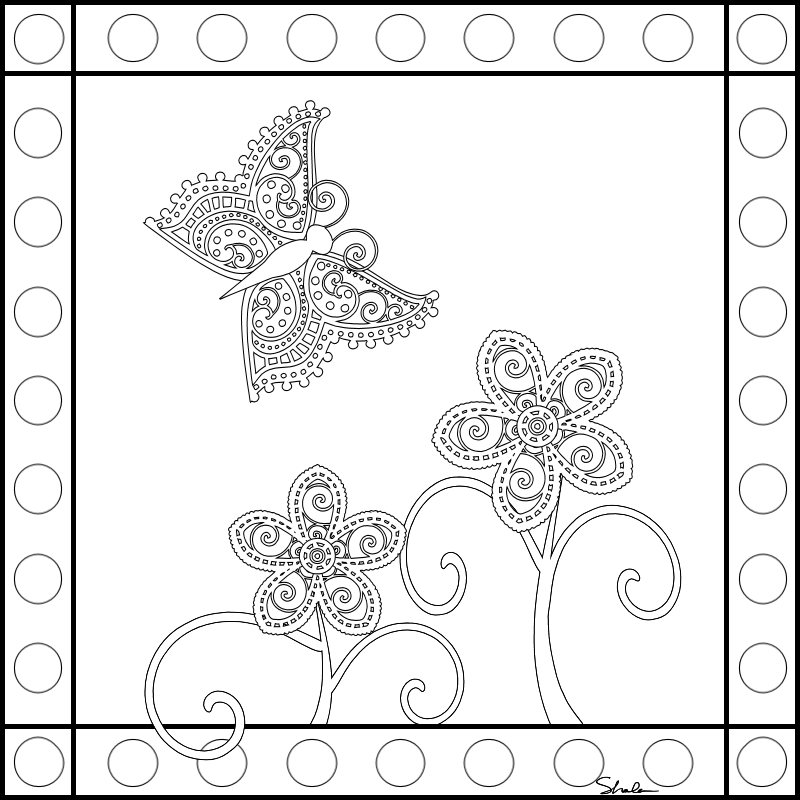 These coloring pages are 100 dpi. You can see the fabric designs I have for sale on Spoonflower currently here. Very Lovely! Thank you for sharing! Aww, that's pretty! Thanks so much for sharing the pages- I'll be linking. And good luck in the contest!